● Bowyer started ninth and finished 14th. ● Initially reported a loose car, but handling improved as the race progressed. ● Climbed to eighth by lap 25, then reported the engine had possibly lost a cylinder and had a vibration. ● Crew kept him out on the track when the first caution flew on lap 56 with just one green-flag lap left in the stage. ● Bowyer restarted second but couldn’t keep pace and dropped to 14th. ● Crew replaced spark plug and wire during the stage break but determined the issue was within the engine. ● Bowyer returned to the track in 30th and a lap behind the leaders, hoping to nurse his car to the end. ● Bowyer started 30th and finished 25th. 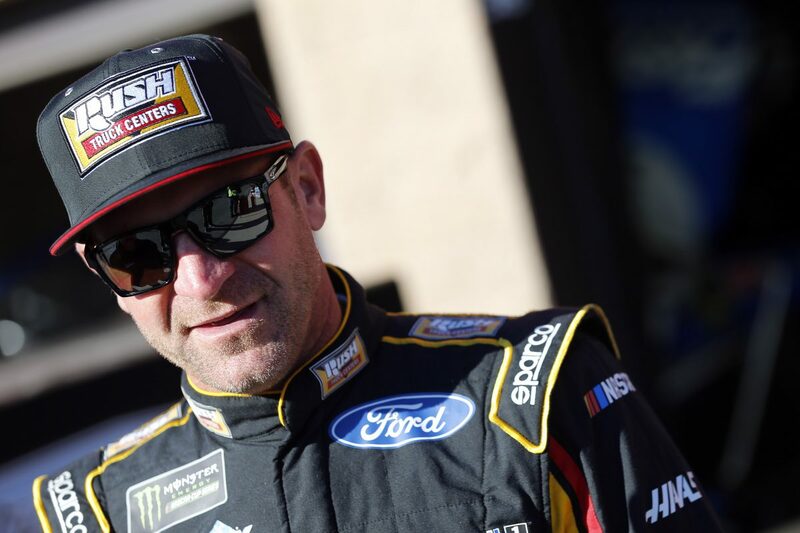 ● Crew kept Bowyer on the track during a long green-flag run, gambling he could stay in the free-pass position to regain the lost lap in the event of a caution. However, heavy contact from Corey Lajoie’s car caused tire damage that forced Bowyer to the pits and took him down a second lap. ● Bowyer pitted during the stage break to repair the damage. ● Bowyer started 25th and finished 38th. ● Bowyer’s day ended after 130 laps when smoke began pouring from the No. 14 and he drove it to the garage.